It may not look pretty, but this DIY smartphone charging stand works great, and can be made with some standard office supplies. In this video from the MrGear YouTube channel, you'll learn some creative uses for everyone's favourite life hack tool: the binder clip. We've covered most of these before, like organising cords, storing headphones, and protecting razor blades, but the charging phone stand featured here is pretty clever. Stick your smartphone charger in a small binder clip with the plug sticking out, then remove the prongs on the clip. 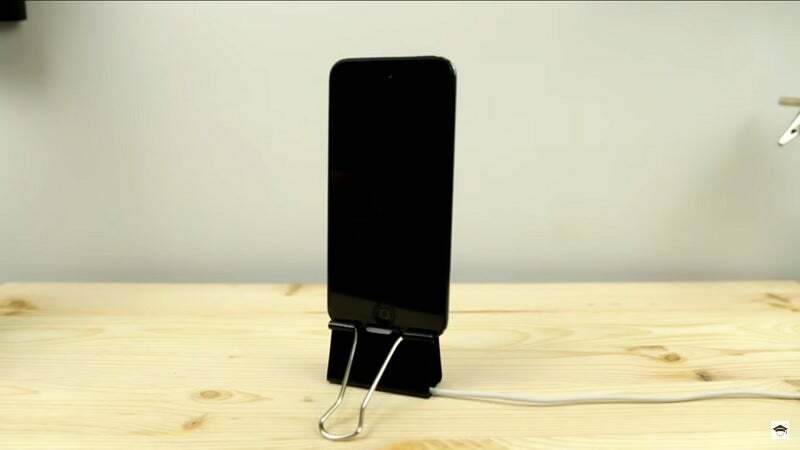 Now place the smaller binder clip inside a larger binder clip, fold out the prongs, and you've got a phone charging stand you can build at your desk in the office.